John E. Stith is the author of "Naught for Hire," the basis for the upcoming webisode series starring Ben Browder; REDSHIFT RENDEZVOUS, a Nebula Award nominee; and MANHATTAN TRANSFER, a Hugo Award Honorable Mention. Several of his works have been bought by the Science Fiction Book Club and optioned for film. He has optioned several feature-film screenplays, and has sold to television (Star Trek). REUNION ON NEVEREND and RECKONING INFINITY, are his two most recent novels from Tor Books. Stith rhymes with Smith. John E. Stith is a LibraryThing Author, an author who lists their personal library on LibraryThing. John E. Stith's book Manhattan Transfer was available from LibraryThing Member Giveaway. 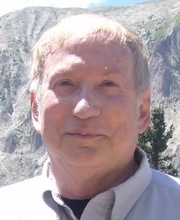 John E. Stith is currently considered a "single author." If one or more works are by a distinct, homonymous authors, go ahead and split the author. John E. Stith is composed of 2 names. You can examine and separate out names.